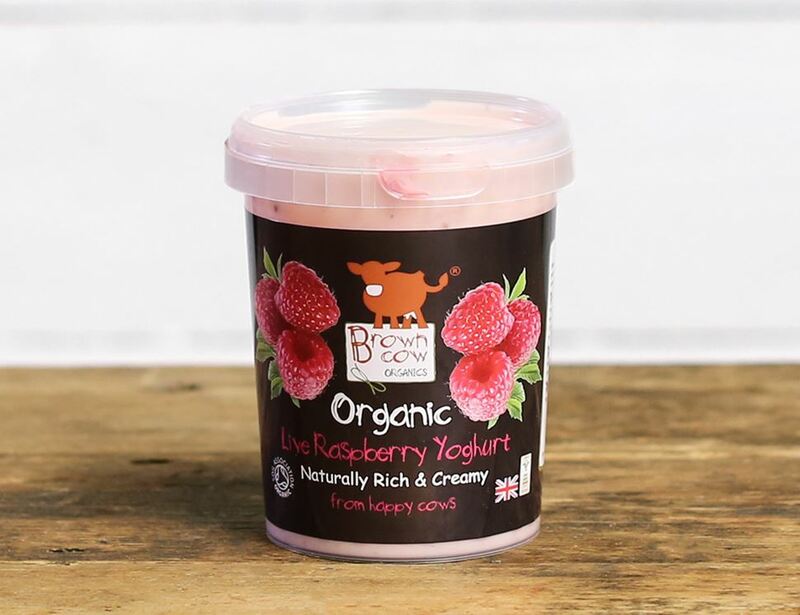 A soft red tinge and smooth raspberry flavour, this thick yoghurt has a sweet twist. Made with pure, organic Guernsey milk, like all Brown Cow Organics yoghurts. This rich and creamy natural yoghurt is high in nutrients, as well as delicious. Keep refrigerated. Once opened, consume within 3 days.